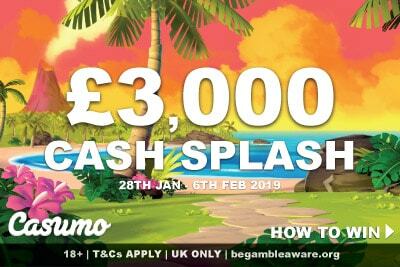 From the 28th of January to the 6th of February 1,000 UK casino players could win anything from £10 to £3,000 at Casumo. With the UK seeing snow and freezing cold winds throughout the country, the guys at Casumo felt like their players needed a little warm hug. 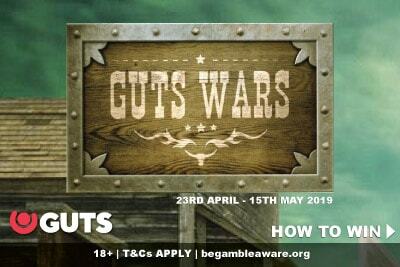 This hug consist of cold hard cash as they give away 1,000 cash prizes ranging from £10 to £3,000. How do you get this Cash Splash? You play £20 across the qualifying games this week. Because a warm hug is only warm if it doesn’t come with tons of strings and conditions. There are three main things you need to know about this casino promotion. Dates:28th January until 6th February 2019. Markets: UK Only. Not from the UK? 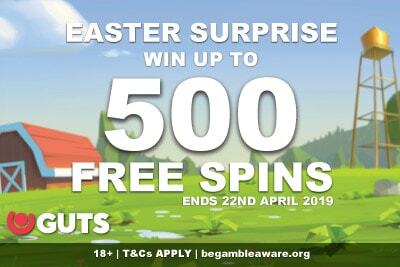 Check out NextCasino 10 free spins no deposit bonus. Qualifying Games: Aloha! Cluster Pays, Koi Princess & Spinata Grande. See? We told you it was simplicity itself. How much can you really win? Oh so cynical. You think this is one of those, only 3 people will win anything type of casino promotions? Clearly, you are not reading our blog posts right, because we did say there would be 1,000 winners over the course of the whole week. Ok, we will admit there is a lot of £10 prizes, and you can only win one prize, regardless of how many raffle tickets you accumulate over the week. Look, this is gambling, not fortune telling. You play, maybe you win, maybe you don’t. If this concept is alien to you, perhaps you should read our slot strategy guide first to help you figure out how to maximise your budget first before you start taking casino bonus promotions. The good news is that if you do win one of the 1,000 cash prizes, it will be yours to use as you will. So you can withdraw it instantly, keep it in your account for your next play session, or take some of it out and leave some of it in. 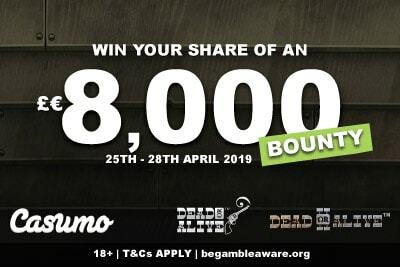 The winners will be announced by 8th February 2019 and the credit will be in your Casumo casino account within 72 hours. Are the NetEnt slot games worth playing? You noticed they were all NetEnt slots too didn’t you? NetEntertainment is one of the most popular software casino studios around, so why not pick games you know your UK casino players will love? Casumo rarely does anything by chance. Every month they publish the games that gave their players the biggest wins (this is the December top paying games), so they know which games UK gamblers are betting on. Aloha Cluster Pays slot came out in March 2016 and has, since, build a steady stream of followers. Personally, we probably don’t rate this casino game as much as some of their biggest fans, but we see the appeal. A happy tropical low variance fruit game, the point of this real money slot is to get clusters of 9 or more symbols touching each other vertically or horizontally. Which is very possible in this 6-reels 5-row slot machine where you can win as much as 1,000 times your bet. Of all the NetEnt Android games on this list, Koi Princess is probably our favourite. It works equally well on iPhones and iPads, we should add, but we originally tested it on Android. Anyway, to get to the point, this manga inspired slot machine has 8 bonus slot feature, some big, some small, but all incredibly good fun. It’s far too much to try and write here, needless to say, you should read our 5 star Koi Princess slot review. If not, just know that you will need to be a minimum of 0.40 on the bonus bet to get the most of this game. If that’s within budget, go to Casumo and start spinning. You know, until Casumo added this Spinata Grande slot game on this list, we’d almost forgotten about this game. We literally haven’t played it in years, and it only came out in 2015, so it’s not that old. Yet when we revisited this fun and charming machine, we quickly remembered what made it so grand. It’s not a hard-hitting game. At best it’s on the mid to low variance scale with a top win of 600 times your bet in a single spin. But those single spins can keep on coming, thanks to a wicked free spin bonus with colossal wild symbols that can cover a 3×3 space of this 4 rows 5 reel game. Fun, breezy and definitely fitting of this wonderful casino online. We only recommend the best gambling sites and slots at Lucky Mobile Slots, and Casumo has to be one of our favourites to play week by week.